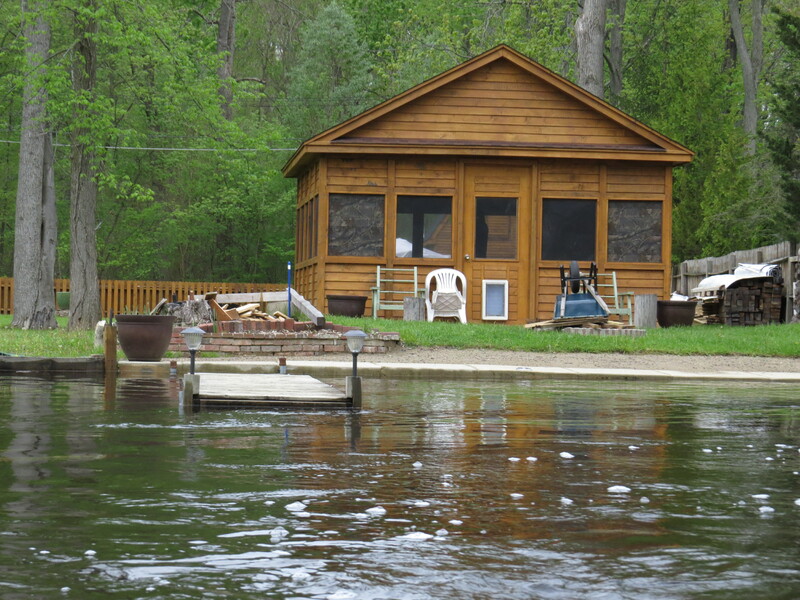 Look out for cooler summer temperatures and high water levels in the Great Lakes this summer. Also keep a lookout for ticks as populations are booming in some locations. Read a couple of articles on how river flows, both high and low, can impact communities and ecosystems. Finally, read the latest on two hot local topics – the proposed Lyndon Township sand mine and the oil and gas prospecting taking place in Scio Township. Extensive Great Lakes ice and El Niño equals cooler Michigan summer Forecasters are predicting a cooler than average summer this year. Historically, years with high ice cover on the Great Lakes also have cooler summers and this year had some of the highest ice cover on record. Meteorologists also predict a delay in the typical severe storm season for Michigan. We may be seeing some severe events into June. Another outcome of this year’s Great Lakes ice cover is that lake levels are expected to be significantly higher in recent years. There’s a tick boom in Michigan – Here are 5 things you should know There is a population boom of blacklegged ticks in Michigan this year. This is the species of tick that can carry Lyme disease. It is good to know how to identify a deer tick and how to remove it correctly. Ann Arbor canoe liveries temporarily shut down river trips due to high water in Huron River Following a series of larger rain events in mid-May, several canoe liveries shut down operations because of high water levels which result in fast flows and otherwise unsafe conditions for less experienced paddlers. Stream gages that measure flow in the river were measuring over 2,000 cubic feet per second; double the flow beyond which liveries close down operations. A Sacred Reunion: The Colorado River Returns to the Sea In national news, we celebrate a momentous occasion this month. For the first time in well over a decade, (and one of only a few occurrences since 1963) the Colorado River has reached its outlet at the Sea of Cortez. The fact that the river has run dry in its lower reaches for so long serves as an illustration of how over allocation of our freshwater resources has cascading impacts for both wildlife and people. The river is reaching the sea due to a recent agreement between the US and Mexico. The agreement allows for a five year experiment that implements a pulse flow at a critical time of year. While this is not a permanent solution to a very complex problem, it is a heartening step in the right direction. City attorney for Chelsea responds to sand mine public hearing For those of you following the dialog around a proposed sand mine in Lyndon Township, this latest article shares that the application for the mine has been tabled for six months. Delaying a decision on the application will allow the City of Chelsea and Lyndon Township time to update ordinances and do more research into impacts of the mining operation. Area lawmakers express concern over oil, gas drilling proposed for Scio Township In other local extraction news, opposition to proposed oil and gas drilling in Scio township continues to grow. Several local legislators have submitted a public comment asking the State to deny a permit for an exploratory well. Read the letter and learn more about the issue in this article. The public comment period on the permit is still open.